Tokunation › Super Sentai › Uchu Sentai KyuRanger Q4 Catalog Scans- Orion Battler & Super KyuRenOh Revealed! 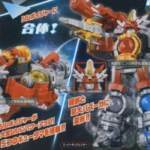 Uchu Sentai KyuRanger Q4 Catalog Scans- Orion Battler & Super KyuRenOh Revealed! New images for the 4th & final Uchu Sentai KyuRanger release quarter have been posted online, and the arsenal of Voyagers has expanded once again! *Leading things off is the Orion Battler, a GIGANTIC Carrier Mecha which can transport other Voyagers & transform into an extremely powerful Mecha. The Battler is controlled by Lucky in his new shiny form, Shishi Red Orion! 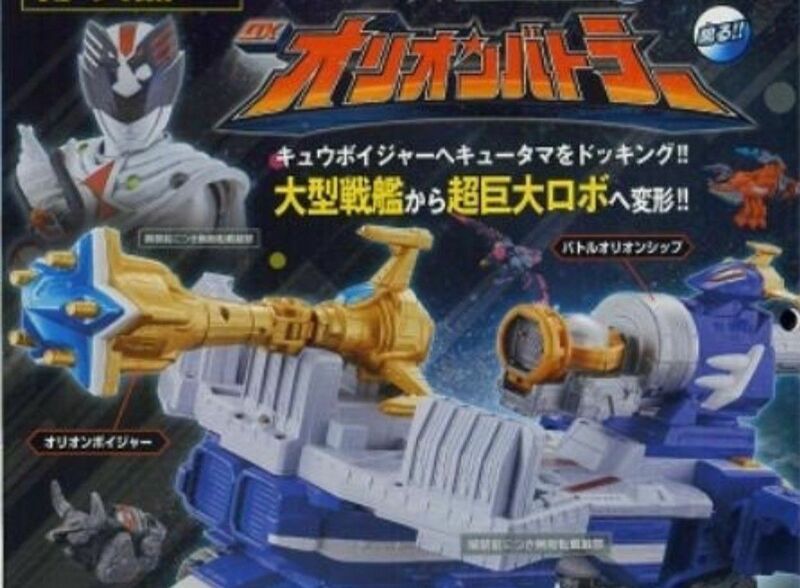 *In addition, one more Voyager has been revealed- the Koujishi Voyager! This new craft draws its power from the Leo Minor constellation. 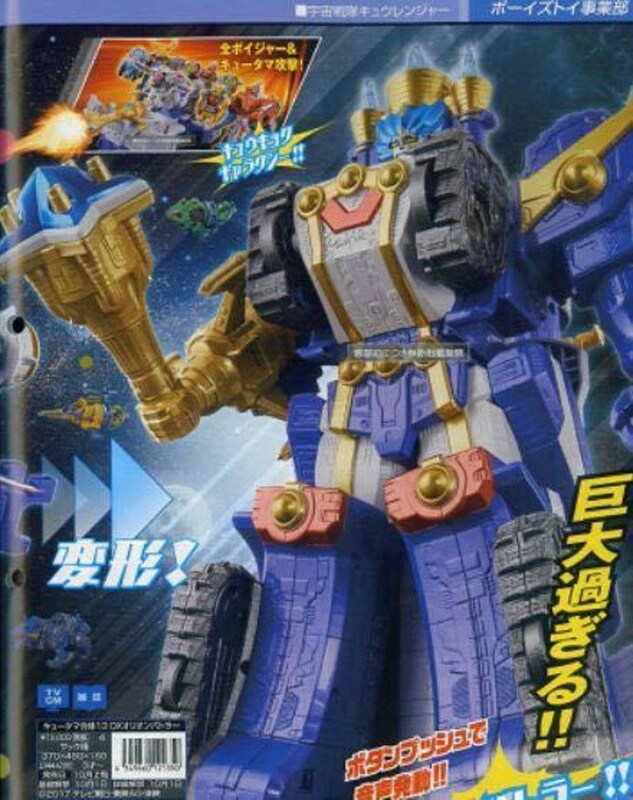 While not seen in full on its own, we DO get to see Koujishi combined with Shishi Voyager- creating Super KyuRenOh! This new configuration adds a powerful cannon weapon to the original combination. Seems like the last quarter of KyuRanger is just as exiting as the first! Stay tuned to TokuNation as we keep you up to date on all Super Sentai news! Ending the series with a bang! Hard to believe we are so close to the end of Kyuranger. Battler gives me Boukenger's DaiVoyager vibes. 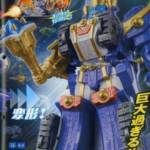 So it seems that combined with the regular Shishi voyager it becomes Super Shishi Voyager. 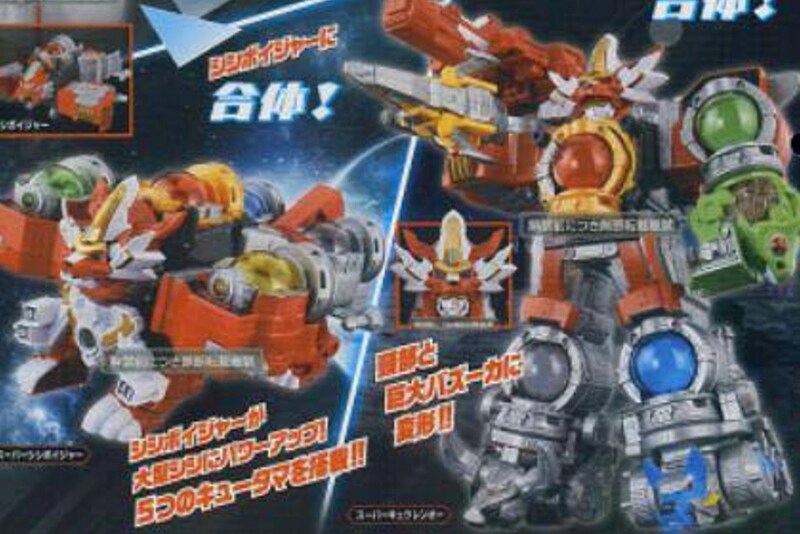 And it becomes the head and a giant bazooka for Super Kyurenoh. Loving Orion Battler by the way. Remember kids, when you Gurren Laggan, the scale goes small, medium, GALAXY. Digging Orion Battler! May have to try to acquire it! It's kinda expected at this point that we get at least 4 individual mechas per show. These are pretty cool... Orion Battler is of course a giant brick but it looks like it will at least hold the majority of he voyagers. But, I wish Shishi Voyager just looked like Koujishi Voyager this whole time. Now including the movie exclusive Cerberus Voyager, we basically have 3 of the exact same mechas. That being said though, I love the look of Cerberus and Koujishi Voyager. I've been skipping the quarter four mecha for pretty much every season I've collected and probably will for these too. Looks nice to me! Here's hoping the Minipla won't be a brick. 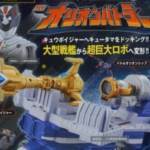 Koujishi Voyager is supposedly a completely separate voyager that combines with Shishi Voyager to create Super Kyurenoh. We just haven't got the scan of it yet. All times are GMT -4. The time now is 8:20 PM.